On Thursday, I handed in my last assignment (MATH104) and had a test (LING223). The LING223 test marks the end of my involvement with that course. The end of my other two courses will be after their exams on 10 June (ALIN201) & 16 June (MATH104). I feel so free... Now i hav more space to do wad i wana do! 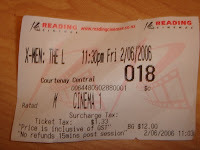 A few hours ago i got back from watching a late nite Xmen 3 at Reading Cinema! 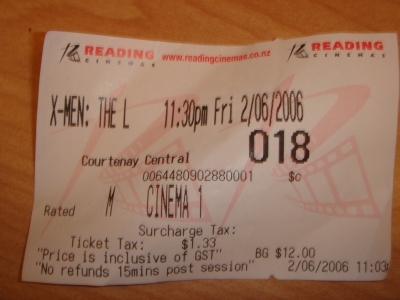 and there is wonderful build up to Xmen 4 in the movie! hint: dont leave when the movie ends... stay till the credits finish... there is a sweet short video for you!